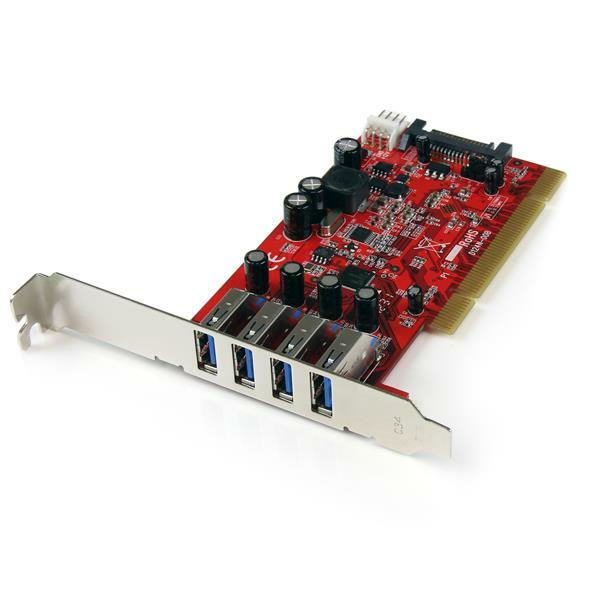 The PCIUSB3S4 4-Port PCI to USB 3.0 Card enables legacy PCI slots to support the SuperSpeed USB 3.0 standard, which is capable of data transfer rates up to 5 Gbps. 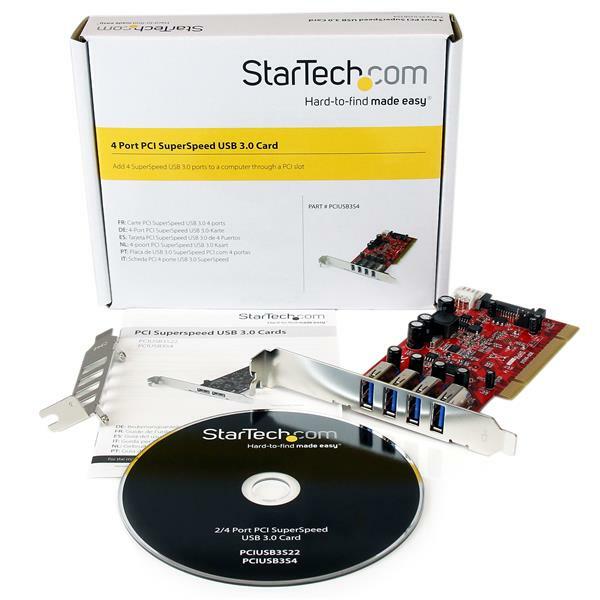 Using USB 3.0 devices with this card will increase data transfer rates with up to 1.3 Gbps of available bandwidth (PCI bus limit) - more than doubling performance compared to a USB 2.0 connection. 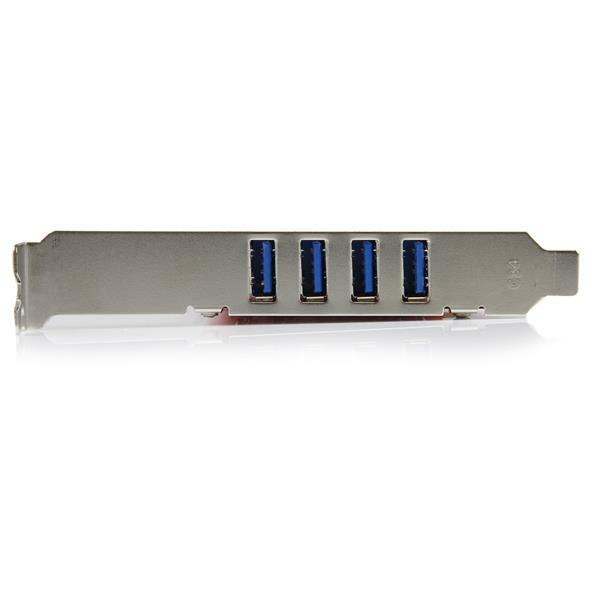 This versatile USB 3.0 adapter includes an optional SATA power connector which allows each USB port to deliver up to 900mA of power to connected USB 3.0 devices - suitable for even the most power hungry devices. 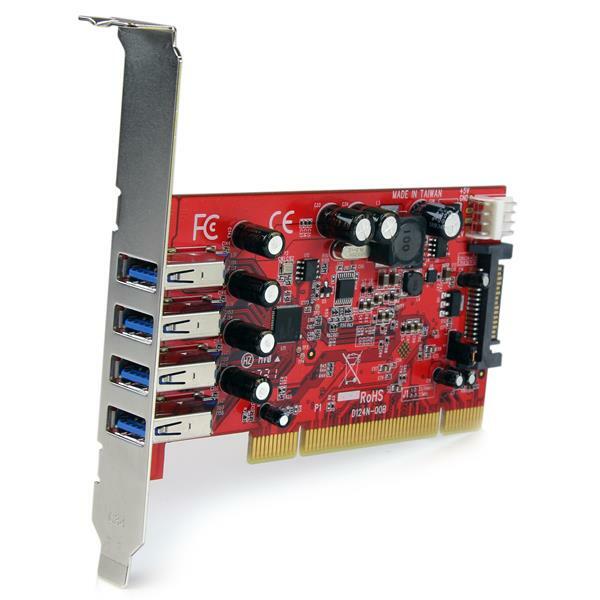 A perfect solution for older PCI-based systems or computers with only PCI expansion slots remaining, the card allows those systems to stay relevant and up-to-date with the latest USB technology. The card is also backward compatible with USB 2.0 and 1.x devices, so it will not only work with any future USB 3.0 devices, but will also support older devices. The PCIUSB3S4 4-Port PCI USB 3.0 Card is backed by StarTech.com lifetime warranty and free lifetime technical support. Yes. 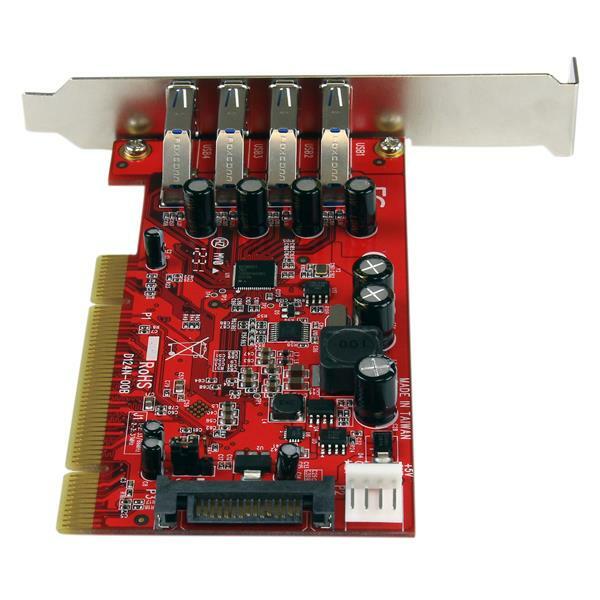 This PCI card uses a universal connector keyed for both 3.3V and 5V that can be used with PCI and PCI-X. This type of connector is identified as having 2 separate notches, instead of just one.